We met our goal to provide 15 local domestic violence survivors the gift of good food from the Co-op. 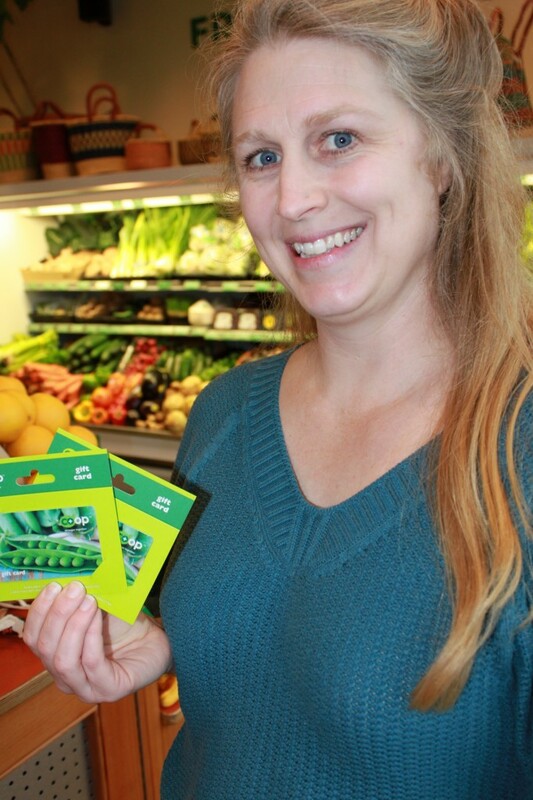 With your generous donations, we supplied the Harbor (Clatsop County Women’s Resource Center) with $50 Co-op gift cards. Staff there picked a set of folks who especially needed some help and hope during the holidays. It all started with a guy who won a $100 Co-op gift card for taking our survey in the fall. He decided to give it to a few people who might need it more than him. Then we started collecting money from shoppers at the registers. This is a great support to your local Co-op too. Thanks so much for your generosity! Julie, the director of the Harbor picking up Co-op gift cards.